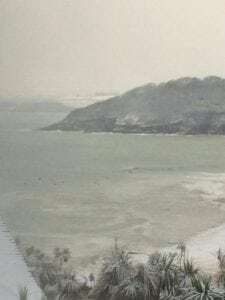 Winter Wonderland in Fabulous Falmouth. 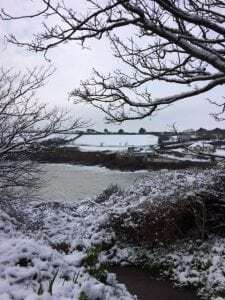 The Beast From the East returned for a sequel this week in Cornwall, so we had snow twice this month. 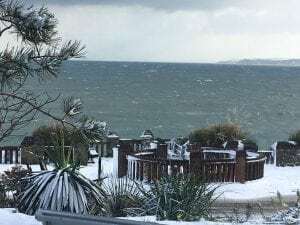 Its the most snow fall recorded here since 1986 so was really enjoyed by all. 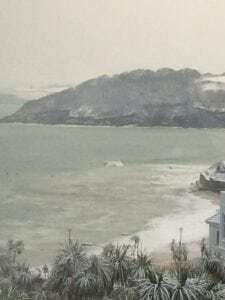 The first Beast brought a huge tidal surge and freezing Easterly winds that were quickly replaced with warm winds from Emma the storm that came up from Portugal. The snow didn’t last long as a result but whilst it did we took loads of pictures and had the odd snowball fight. Beast Two is still here but the snow is quickly melting. True to form the sun is shining in Falmouth today so everyone is out enjoying the fresh air. The usual suspects were swimming at Gylly Beach this morning and one chap was even sunbathing in his speedos! 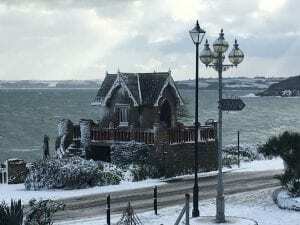 This lovely seat shelter on the coast road in Falmouth looked like a gingerbread house dusted with icing sugar. 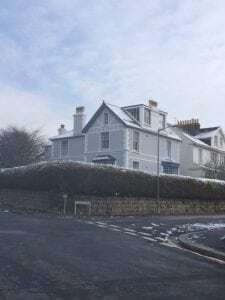 Kinbrae House with a light dusting of snow before it dumped down on Sunday! 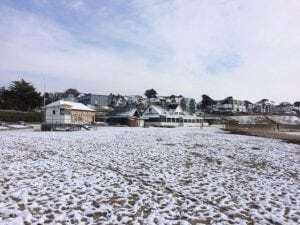 Gylly Beach in the Snow. It was so pretty but the waves were HUGE! 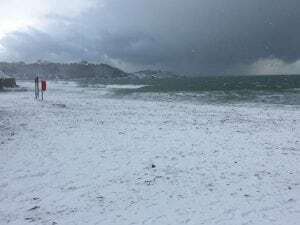 The Snowy weather didn’t stop the surfers enjoying the clean swell that arrived yesterday at Gylly and Swanpool Beaches. The shots above were taken from the warmth of our second floor office at Kinbrae House. Not a bad view to work with I must admit. The dots are surfers! 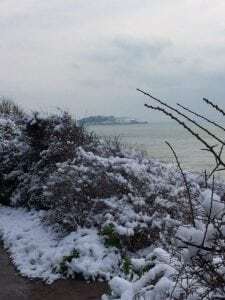 I had a lovely coast path walk with Kato our dog and took some lovely shots along the way. The headland in the distance is St Anthonys Head and Lighthouse. The colour of the sea was stunning a kind of seabluegreen…..yeah I like that colour! 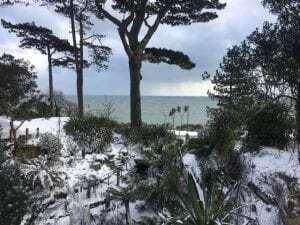 This shot was taken from Gyllyngdune Gardens just up the road from Kinbrae House.